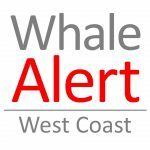 Help us keep track of the number of whales off San Francisco and the US West Coast. Whether you do it from the shoreline or head out on a boat, join a group or swim solo, use our apps to record what you see. Learn how apps can save whales! Download a whale species brochure to get to know the whales of the west coast. See where whales have been observed recently, visit the online map. To donate and support Whale Alert, please click here.